Investigative reporter Sarah Wallace gets an inside look at one of America's new militias. Saturday was filled with tension for members of New York's Light Foot Militia. Nearly two dozen men and women in the militia were up at the break of dawn that day, decked out in fatigues and sipping on coffee before taking orders from commander George Curbelo and mobilizing with military precision in the National Mall in Washington D.C.
"Staggered columns please," Curbelo barked as they headed into the giant green space. They didn't have weapons, but the Light Foot Militia was on hand to keep the peace and defend free speech along with the nearly 200 other militia members from New York, New Jersey and Pennsylvania that converged on the nation's capitol at a pro-Trump demonstration billed as the Mother of All Rallies. 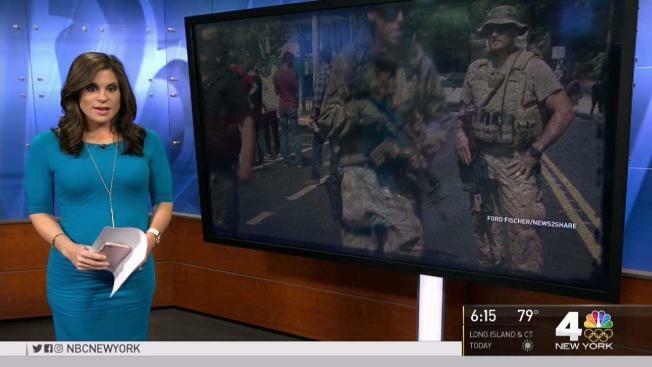 And they allowed the I-Team’s Sarah Wallace to be the only reporter embedded with their teams. The militias were not allowed to carry guns because of the strict laws in the nation’s capitol. But many of them had been in the chaos of Charlottesville, Virginia, and were concerned that the event would be a repeat. Curbelo said they believed it was their duty to protect free speech. "It’s what America stands for,” he said. Capitol Police officers spoke with the militia members ahead of the rally, telling them to be alert. "You are to be extra eyes and ears," an officer told the group. "You are not to take any enforcement action." 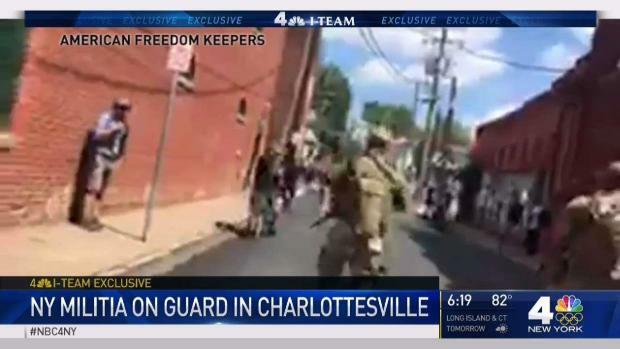 That message was again communicated again by Christian Yingling, the commander of the Pennsylvania Light Foot Militia who gained notoriety after organizing militias during protests in Charlottesville. Curbelo helped break up a number of verbal skirmishes. Others helped provided a protective perimeter around police officers. Members of the Pennsylvania State Militia and New Jersey 3 Percenters were also on hand. And the rally remained peaceful and there were no arrests. Curbelo even opened a dialogue an Antifa counter-protestor, chatting peacefully about the American dream.